Eating plenty of the raw foods is the most important step you can take towards achieving beautiful complexion. But the beauty equation has two solutions. 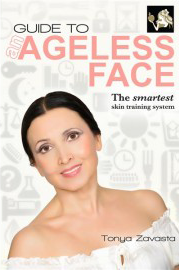 Fastidious skin care should go hand in hand with your raw food diet. Blend together a mixture of pure castor oil and Glow facial cream. Go a little heavier on the castor oil than cream if your skin is oilier, and a little heavier on the facial cream than the castor oil if your face is dry. 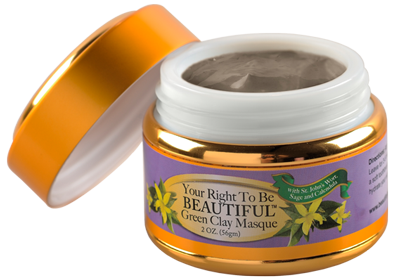 You might need to experiment with the mixtures and see which suits your skin type best. Just remember that castor oil is very drawing and purging, so the oilier the skin, the more castor oil you will use. Mix the two ingredients together in the palm of your hand, approximately the size of a quarter, and then spread over the face, massaging all over slowly and deeply. This will allow the mixture to do its work of softening oil and impurities for removal. This feels wonderfully relaxing and luxurious! Next, soak a washcloth in hot water and lay it over your face to effectively 'steam' it. Be sure it's not too hot. In a few moments it will be cooled and you can simply wipe away some of the oil from your face, rinse the washcloth and repeat the 'steam' procedure with some more hot water, wiping away more oil after it has cooled. Be sure not to scrub, as we are not after exfoliation, only gentle moist cleansing. After two or three times your face will be sufficiently cleansed and you can simply rinse and apply your moisturizer or masque and go about your skin care routine. Those of you with oily skin may be wondering "Why would I use more castor oil instead of less if I already have oily skin to begin with? Won't this just make my problem worse?" Using oils on problematic oily skin flies in the face of what most people have been taught about caring for oily skin. They think if they use astringents and dry out the oils that it will help, but this only serves to cause the face to produce more oil in an effort to protect itself and its delicate balance because it is ... well ... too dry! And a vicious cycle is created. 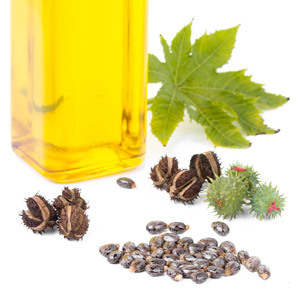 Castor oil is non comedogenic, meaning it does not cause skin breakouts because it does not clog the pores. It can be irritating to the eyes, so exercise caution and try to steer clear of getting too close to your eyes with it. 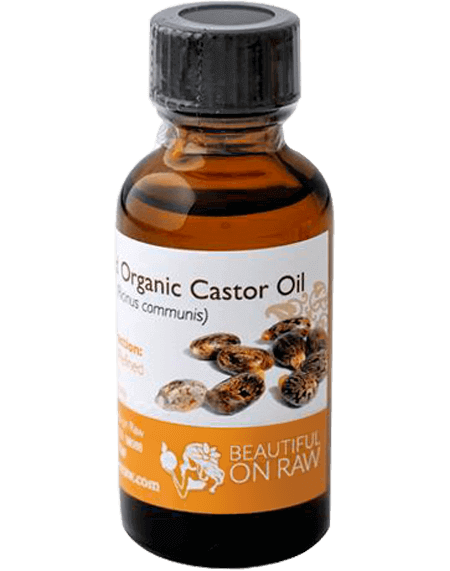 About 90% of castor oil's fatty acid content consists of ricinoleic acid, which has been shown to be effective against numerous types of bacterias, yeasts, and viruses. But it's antimicrobial activity, while extremely beneficial for keeping the skin healthy, is only one of its merits. It is also anti-inflammatory. The reason for using some good anti-aging cream for the oil cleansing method is because castor oil is too thick and powerful to be used on its own, and for example, the facial cream Your Right to Be Beautiful can impart beneficial aspects that castor oil alone does not have. Castor oil's role in this mixture is to act as the drawing, purging and cleansing agent. If your skin is oily, you will actually use a slight bit more oil, not less, because it will draw out more of the oils and impurities from the skin, especially whiteheads and blackheads. It's a fact that an oil is required in order to dissolve an oil. Another reason the castor oil combination is so beneficial is that the essential fatty acids will help maintain the health of your cell membranes, which assists in restoring the natural moisture balance. The 'oil' in castor oil is very similar to the oil that is found in our skin naturally. 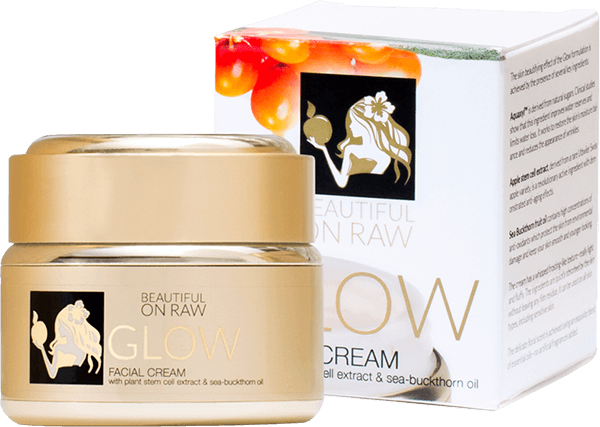 When you combine it with Glow facial cream and massage it in, this will allow it to do its magic; it will break up the oil and impurities that are lodged in the pores and draw it out for easy removal with your warm, wet washcloth. The additional application of this gentle, natural moisturizer after your oil cleansing session will help your skin to heal and balance. Consider our certified organic Castor oil. Despite the fact that castor oil is indispensable for medicinal use in health-promoting castor packs and even as a laxative for some, it is definitely one beauty staple you always want to have on hand … or face.